The Department of Physics, AIUB, organized a study tour, for Electrical and Electronic Engineering (EEE) students of Modern Physics course, to AERE, Savar to visit the Nuclear Research Reactor and the VLSI laboratory. 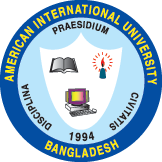 AERE is a major research set-up of Bangladesh Atomic Energy Commission (BAEC) for peaceful application of nuclear energy in various fields of physical, biological and engineering sciences. AERE came into existence in 1975 by the acquisition of 259 acres of land at Ganakbari, Savar which is about 40 km away from Dhaka City and about 4 km north of National Martyrs’ Memorial at Savar. The major research areas of AERE are Engineering technology, reactor engineering and control, research reactor operation, electronics, computer, Radiation control and waste management, Pest control and management, food technology, medical sterilization, microbiology and industrial irradiation, biotechnology and genetic engineering, agrochemical and environment, tissue banking etc. The tour was held on 26th November, 2015 with 50 students and 5 faculty members. It was led by Dr. Md. Habib Ullah (Senior Assistant Professor), Dr. Farzana Sabeth (Senior Assistant Professor), Dr. Nurul Kabir Bhuiyan(Assistant Professor), Md. Saiful Islam (Assistant Professor) and Ms Rutaba Jania (Lecturer) of Department of Physics. The purpose of the visit was to see the 3 MW TRIGA Mark-II research reactor to get acquainted with Reactor engineering and control, research reactor operation and maintenance, production of various radio-isotopes both for medical (diagnosis and treatment) and agricultural research purposes. The TRIGA Mark-II research reactor is a light water cooled, graphite reflected reactor, designed for steady-state and square wave power level of 3 MW (thermal) and pulsing with maximum power level of 852 MW. The students were divided into five groups assigning an instructor to each group. The instructors briefed the students about the research reactor and the VLSI laboratory. The VLSI laboratory is equipped with sophisticated electronic devices, primarily required for nuclear power plant activities. The reactor and control panel operations were discussed by Dr. Md. Abdus Salam, Director & Chief Engineer of the research reactor. Dr. Salam also briefed the students about the resemblance of nuclear research reactor to nuclear power reactor. Two engineers from the VLSI laboratory introduced to the students the functioning of the different instruments of the laboratory. After visiting various laboratories, students enjoyed a powerful documentary about AERE in the hall room. The students of AIUB were very enthusiastic to work in AERE in future about their BS projects and MS researches. The Department of Physics acknowledges with thanks the great help and other facilities provided by the honorable Vice chancellor, Dr. Carmen Z. Lamagna. The faculty members of the Physics department also express their gratitude to Prof. Dr. T. Hossain, Vice President, Academics, AIUB and Dean (In-charge), Faculty of Science & IT, for his valuable advice. Thanks are also due to Prof. M. A. Quaiyum, Registrar, AIUB for initiating the official formalities. Finally, we express our heart-felt thanks and gratitude to the honorable Director General of the AERE, Savar for granting the permission for the visit and extending all the supports.